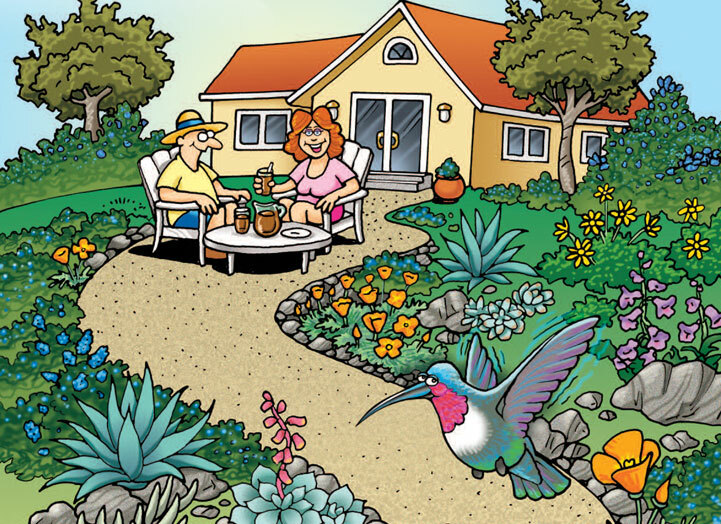 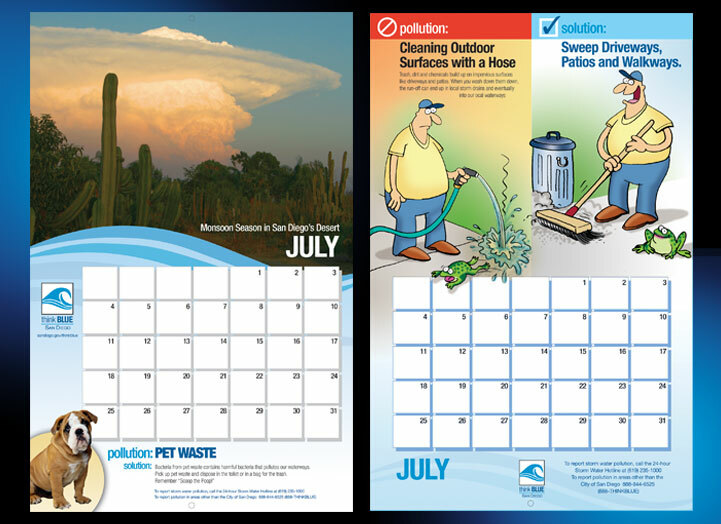 This calendar was a joint project of the cities of San Diego County, the County of San Diego, the Port of San Diego, and the San Diego County Regional Airport Authority. 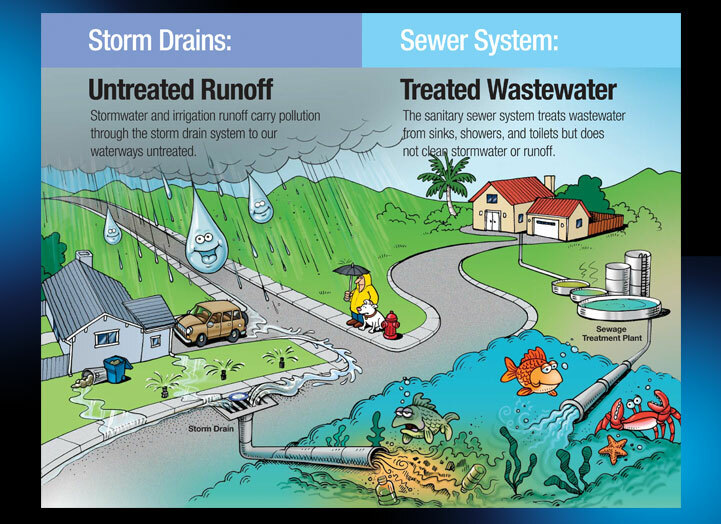 The overall goals of the project were to increase awareness and educate residents on behaviors that prevent stormwater pollution. 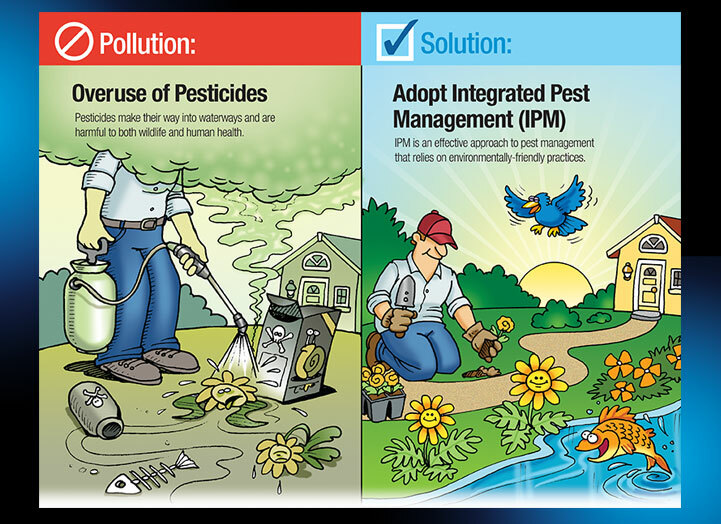 The original request for proposal asked for a calendar with photos to illustrate typical pollution problems involved with storm water runoff. 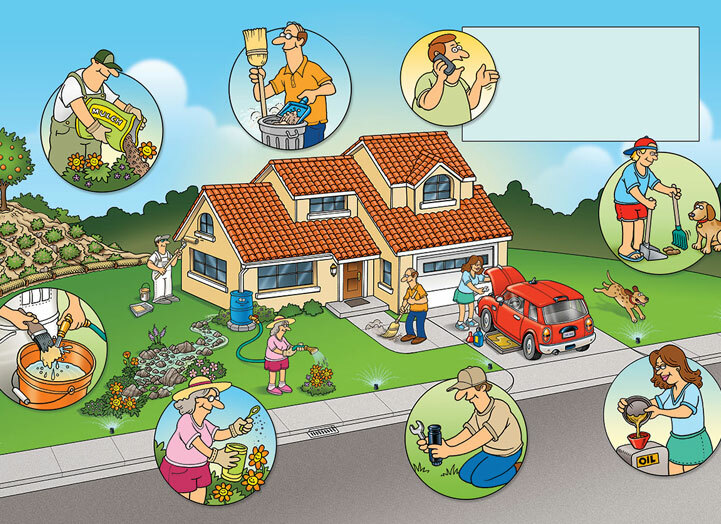 We submitted a photo concept but also suggested and alternative concept which was ultimately used. 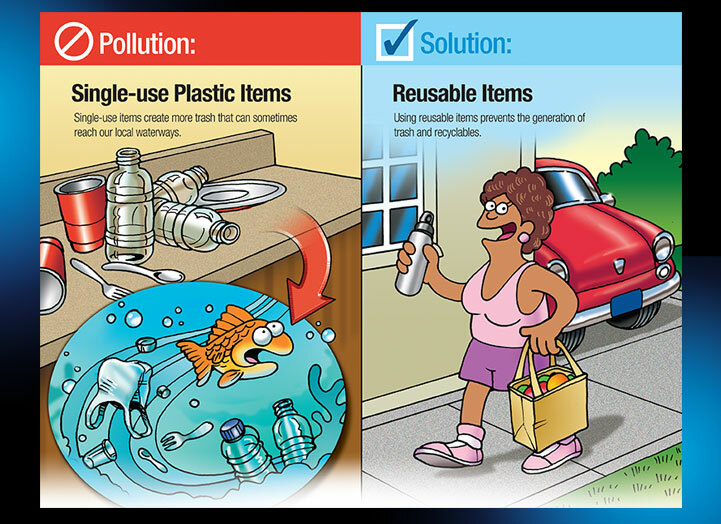 It had a series of cartoon illustrations that showed the problem and the desired behavior modification that was a solution. 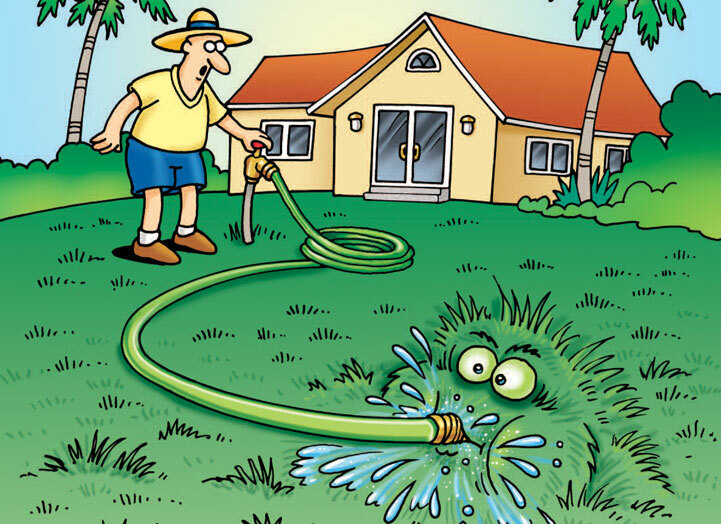 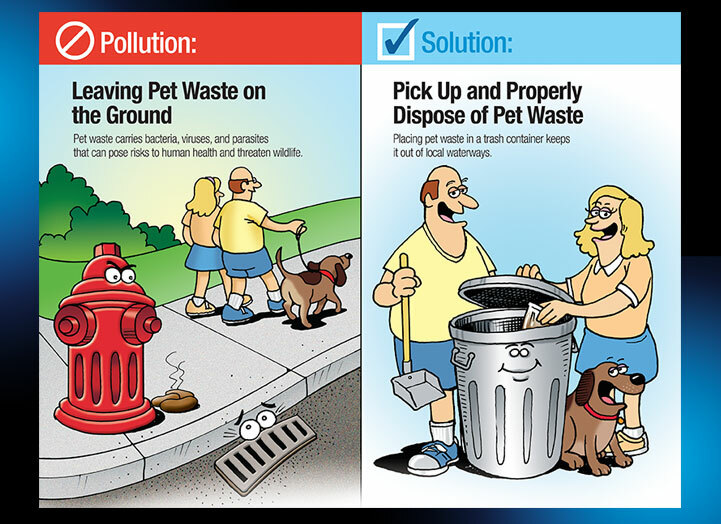 The cartoons were a light-hearted way to illustrate sensitive issues such as pet waste. 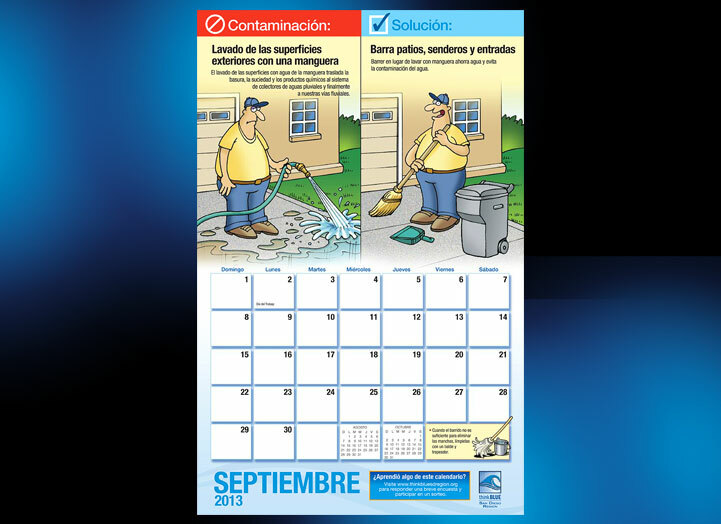 The calendar has been produced in English and Spanish version.